I just had to laugh because it was so darn cute! 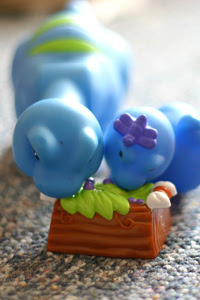 These dinosaurs are the best toys I've ever bought. Griffin got them for Christmas, but all the boys love to play with them. 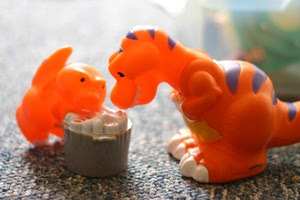 They especially love that there is a Mommy/Daddy dino for each baby. I've been kind of grumpy this week and this just put a big grin on my face.